Chanel launched their soft touch eyeshadow collection with the Autumn 2012 collection ( I think there have been one or two in previous collections like the shade Tigerlily). This new formula is soft, velvety, and oh-so blendable. They describe it as “sensuous in feel, foolproof in application”. This limited edition formula (permanent please Chanel!-it seems to be limited in my country), is really beautiful and can be used wer or dry. They have a wide range of colours from smokey greys to bright ivory. I tried to choose a shade (only one …. really) that was different to what I have in my collection. So I chose Éclaire (#94). This is a iridescent ethereal buttery gold. It is house in the classic black Chanel packaging with the Chanel “C’s” on the pan. Nice packaging if you have never possessed a Burberry eyeshadow, which is just more substantial for a high end brand. 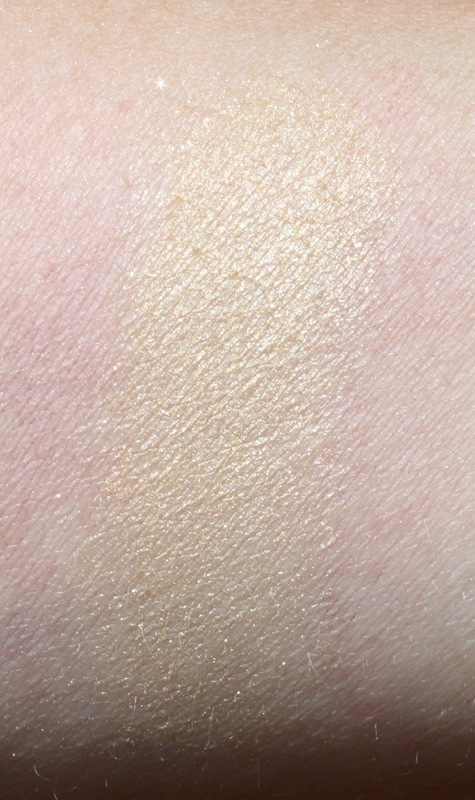 The texture is reminiscent of Suqqu eyeshadows. It also contains Vitamin C and E which helps care and protect your lids. Many brands are adding skincare benefits to there eyeshadows, which is only adds to the luxury of these products. I like to wear all my shadows with a lid primer as I have oily lids. With primer this product lasts me most of the day- by late afternoon the colur has lost a bit of it’s iridescence This colour can be worn as a sheer wash of colour, with a black tightline and lots of mascara or can be added to so many colour looks. A great highlight to an aubergine autumn look and for adding dimension to a warm and sultry smokey brown eye- Nars Cordura duo would be great to combine with Éclaire. This did not work too well wet. I a really happy with the Chanel Soft Touch Shadows and plan to add one or two more shades to my collection in the future, in fact I would not be unhappy if their quads were replaced with this formula.